Another part of Wales I visited was Snowdonia, the area of land where Mount Snowdon lies. On the way to the mountain, we stopped at a little carpark where we saw some really cute birds. I spent almost an hour admiring these feathered friends before we set off for Mount Snowdon again. I’ve really enjoyed camping in Wales and so if you ever go, I hope you have fun! 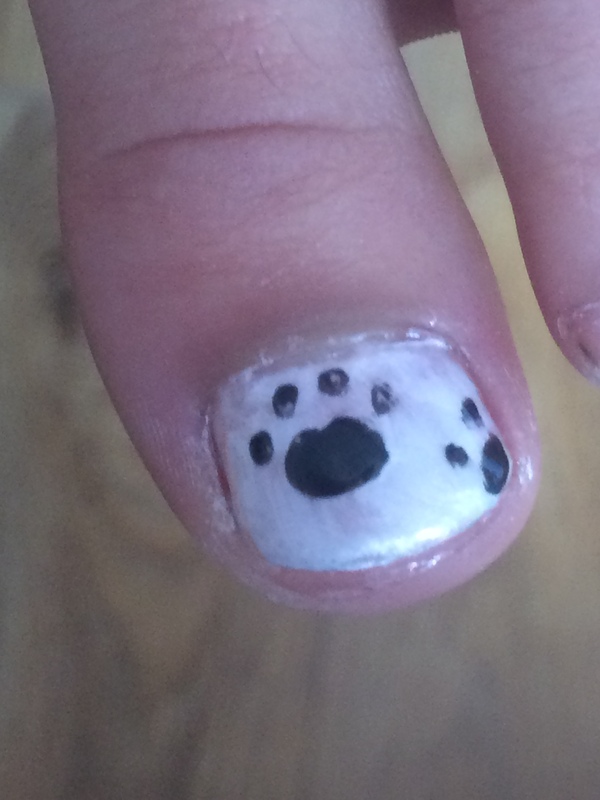 Recently, I have had an interest in nail art and decided to recreate the look of doggy paw prints on a nail. If any of you try any nail designs, please post the link to the picture in the comments as I would love to see them. For the Easter holidays, I went to Lake Garda in Italy. We saw really cute ducklings and we also went to Venice on the red arrow train. It was boiling in Italy. It was even hot enough for a double scoop ice cream every day. Overall, It was an enjoyable stay. I will recommend our campsite Bella Italia to everyone. Today I had lots of time so I decided to carve some apple animals. The turtle was carved from a granny smith apple and the butterfly was made of a pink lady apple. When we went to Catania, we had the best fish market ever! I bought samples of volcanic stone and we had the best time ever! From Naples we traveled on a night train to Taormina. We lived near the beach and I bought a turtle made of volcanic stone whom I named Terrace and a glass painting. When we went to Naples, we ate at the world’s best pizza shop and visited Pompeii. I bought a palm dragonfly. To get to Naples we traveled on one of the fastest trains in the world: the red arrow (Frecciarossa).